Big Smoke Signal newspaper for Texas Joe's. Design by By Volume. Texas Joe's is making the Big Smoke a bit smokier. The barbecue restaurant opened in London this summer with a "spit and sawdust" approach that's all about respecting Texas tradition. "We've tried to bring a rich historical narrative to the restaurant," says Fliss Horrocks of Texas Joe's. 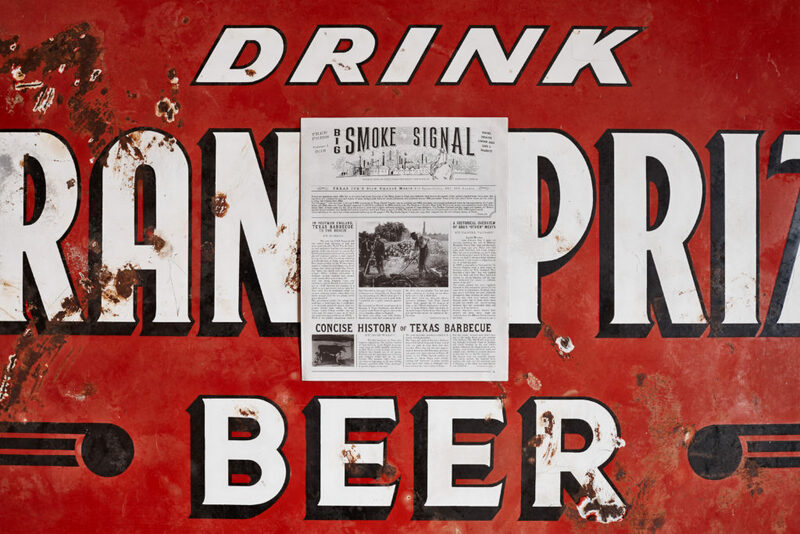 Working with design agency By Volume, they devised Big Smoke Signal, a rustic traditional tabloid menu. To get the look and feel of a historical newspaper, By Volume dug through the archives of the University of Texas at Austin. A collection of Texas Centennial newspapers from 1936 became the primary reference point. "This was the first inspiration for developing the overall layout of Big Smoke Signal," says By Volume. "We also worked in close contact with Joe and his endless database of old time American fonts, pictures of Texas life and food, and overall knowledge of the traditional barbecue subject." 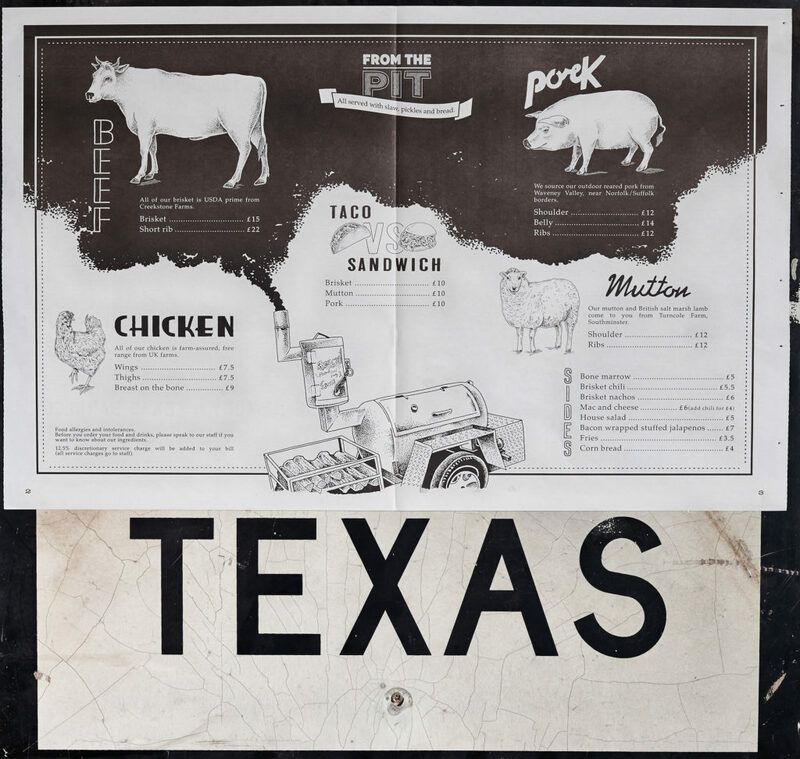 "The inner menu showcases different types of meats traditionally used in Texas barbecue (yes, mutton!) We illustrated the animals starting from traditional pencil sketches and then reworked them digitally, trying to keep that old print look, and created bespoke fonts for their names based on old typefaces and letterblocks. The smoker takes centre stage and is based on Joe’s very own backyard one." 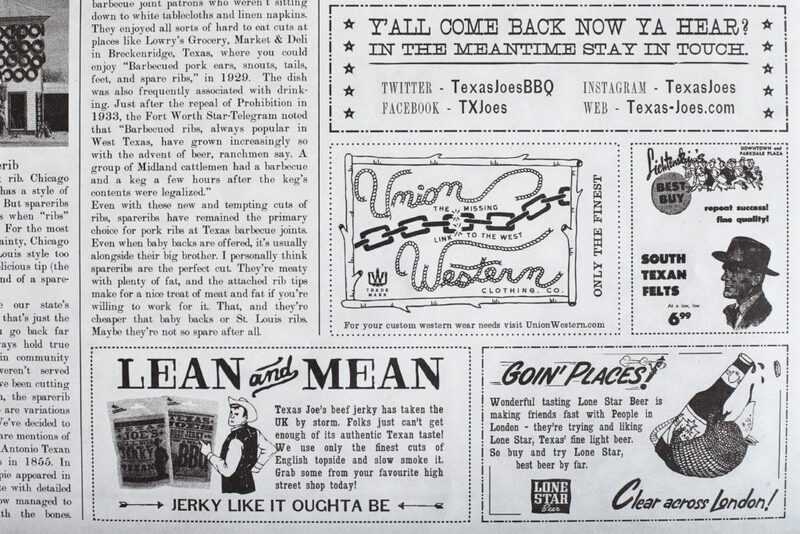 "The ads at the back were probably the most fun part of the project, where we tried to unfold the many worlds of Texas Joe’s outside the restaurant and showcase some of the unique suppliers they work with." Big Smoke Signal also includes articles from Texas Monthly, written by some of Texas's top barbecue journalists. 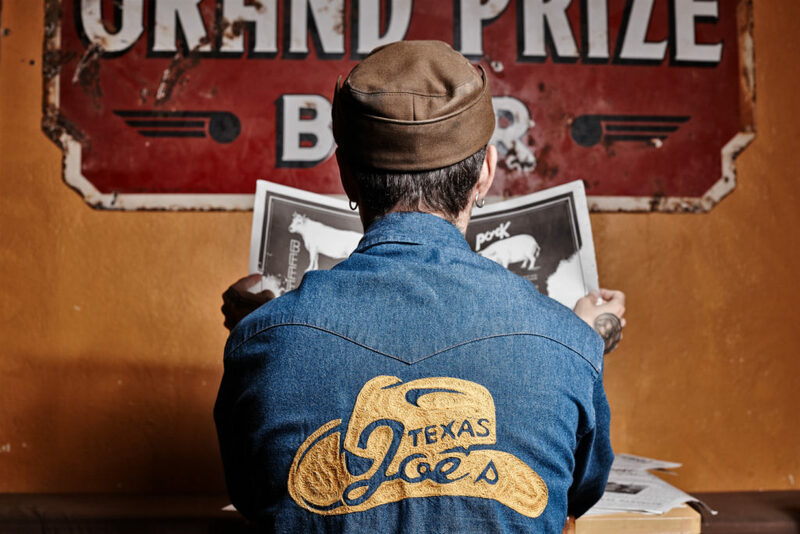 "We wanted something that was a beautiful keepsake with a tangible interactive quality," says Texas Joe's. "We're really pleased with the look and feel of the newspapers."